As the UN Committee Against Torture meets in Geneva, Murat Kurnaz urges justice for those detained and tortured at Guantánamo. “We tortured some folks,” President Obama said recently. I was one of those folks, and today I am at the United Nations to confront the government responsible for torturing me. It is the first time that the UN Committee Against Torture has heard directly from one of the 779 men and boys detained at Guantánamo since 2002. The committee members are in Geneva to review the US government’s compliance with the global ban on torture, and I am here to remind them that not a single person who designed, authorized, executed or oversaw the torture of Gitmo detainees has been prosecuted. In 2001, I was sold to the US military for a $3,000 bounty. I was 19 years old and would not see my family again until I was twenty-five. I found out later that the US government knew of my innocence as early as 2002, yet I was detained for years after that and repeatedly tortured during that time. I was subjected to electric shocks, stress positions, simulated drowning and endless beatings. My story is not unique; I was one of hundreds sold to the United States by local authorities in Afghanistan and Pakistan. My torture was not unusual; many were subjected to the same brutal tactics. Nor was my innocence unusual—of the nearly 800 people who have been imprisoned at Guantánamo, only eight have been convicted by military commissions. Of the 148 men currently at Guantánamo, seventy-nine have been cleared for release, most of them for years. Yet I am one of the lucky ones. That is the shocking, horrible truth of Guantánamo in 2014. I spent “only” five years there; eight years later, men I knew, men I prayed and ate with, continue to languish in indefinite detention. That, too, is a form of torture. President Obama outlawed many of the brutal practices I witnessed and experienced, but until Guantánamo closes once and for all, the United States will not be in compliance with the Convention Against Torture. Not knowing why you’re still there after years on end, not knowing if you will ever see your loved ones again, not knowing if it is foolish to remain hopeful; this is torture that doctors and Red Cross personnel will not see on your skin, but it will slowly kill you. Indefinite detention tries to destroy what is left of someone’s humanity at a place like Guantánamo—the ability to hope, the audacity of hope. At Guantánamo, I learned what fellow human beings are capable of doing to each other even as they pledge allegiance to the world’s oldest democracy. At Guantánamo, I learned that there are places in this world where innocence and human rights don’t matter. And I learned at Guantánamo that the value of a human life is determined by the cover of a passport. Had I not been born in Germany and my case not received international media attention, I doubt I would be free today. Fifty-eight of the seventy-nine men who have been cleared for release but remain trapped in the limbo of indefinite detention are from Yemen, and not a single Yemeni has been released since 2010. That includes men like Fahd Ghazy, who is also represented by the Center for Constitutional Rights, the organization where my lawyer, Baher Azmy, works. Ghazy was detained at age 17 and has been cleared for release twice, by the Bush administration in 2007 and by the Obama administration in 2009. He has now spent almost half his life at Guantánamo. Like his fellow countrymen at the prison, he is suffering punishment because of his nationality. The last time the US government was reviewed by the UN Committee Against Torture was in 2006, a few months before I was released from Guantánamo. 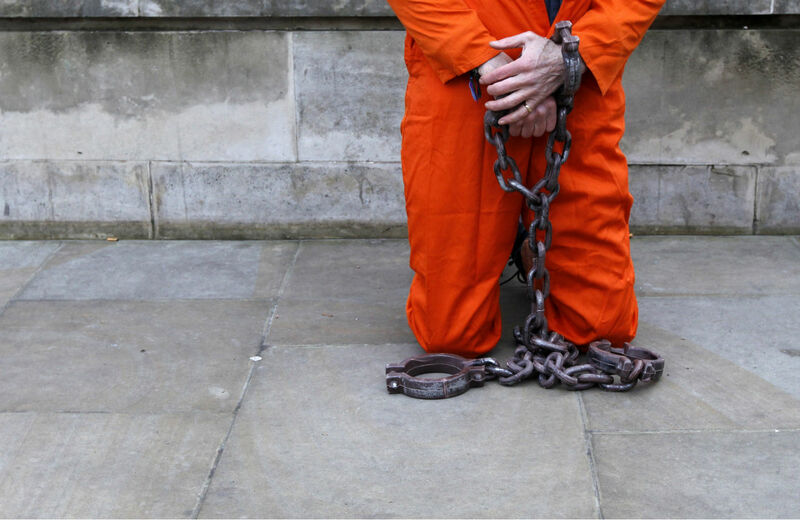 At that time, the committee told the United States that it must close Guantánamo in order to be in compliance with the Convention Against Torture. But the convention not only prohibits torture in all circumstances, it demands that signatories prosecute the perpetrators of these heinous crimes. In the eight years since that review, and despite Obama’s admission that torture took place at Guantánamo and other US offshore prisons, the US government has yet to prosecute a single official who approved or implemented these brutal practices. Not only is the United States in violation of the treaty, its failure to prosecute has set a worldwide standard of condoning torture. The UN Committee Against Torture should demand that President Obama prosecute those responsible for my torture and renew its call for the closure of Guantánamo. So should the American people. Murat KurnazMurat Kurnaz was detained at Guantanamo from 2001 to 2006. He is the author of the book Five Years of My Life and lives in Bremen with his family.